You’ve heard the argument before—if parents are unhappy with the quality of the food their kids are receiving, they can just say No. No to ice-cream sandwiches following each and every soccer game or practice. No to the never ending loot bags filled with treats. No to sugar-sweetened, flavored milk served at school. No to weekly pizza, ice-cream, or freezie days. No to fundraising bake sales. No to the vending machines perched at every corner. No to the sugary cereals constantly being advertised on television. No to the fast-food burger the Olympian is inferring made him who he is. No to the treat that all of your friends are having and enjoying. Somehow, we live in a society in which we’re comfortable with unhealthy foods being thrust at our kids at every possible opportunity, yet we think the only remedy is for parents to just say No. But that’s like living in a world without traffic laws, and instead of putting up stop signs and lights, relying exclusively on parents to repeatedly remind their kids to look both ways before crossing the street. And what of parents who think they can’t just say No all the time? Parents who don’t want to be the ones their kids are embarrassed of because they bring orange slices to soccer practices when they’re in charge of the requisite “snack”? Parents who don’t want to be the ones to tell their kids No, they can’t have pizza and chocolate milk at school—even though the other kids are? Parents who don’t want to send their kids money to buy bake sale cupcakes to pay for this or that every other week? Clearly they’re just weak-willed, right? Why is it a parent’s job to constantly say No to junk food? Shouldn’t we have built a society in which healthy food options are the default, and a parent’s prerogative is to occasionally say Yes to junk food? Where schools were nutritional safe-havens, not the opposite?? Where we at least tried to find the means to creatively entertain our children without falling back on the “fun” of giving them junk food? Our defaults are broken and the notion that our children’s nutritional woes are going to be solved by means of the parental No goes well beyond naïveté. And can parental Nos even combat the marketing machine of Big Food? Last year, the marketing budget for Froot Loops alone was $20 million dollars and Pop Tarts’ was $50 million, according to the St. Louis Post-Dispatch. Do you really think your Nos stand a chance? Children under 10 are now regularly being diagnosed with type 2 diabetes. Teens are being diagnosed with coronary artery disease. And yet we’re sitting back and watching while Olympic heroes are telling our children to drink Coca-Cola, eat at McDonald’s, and enjoy Cadbury chocolate; while cartoon characters strategically located at a child’s eye level beckon from boxes of sugary cereals; and while trusted health organizations encourage us to eat out. It’s time to quit looking to parents to solve this problem—we need to start putting up stop signs. Talk to your school boards. Have a huddle with your soccer parents. Write your local politicians. Tell them no amount of parental Nos can fix this mess, and that we owe it to our children and our children’s children to change the world they’re growing up in. 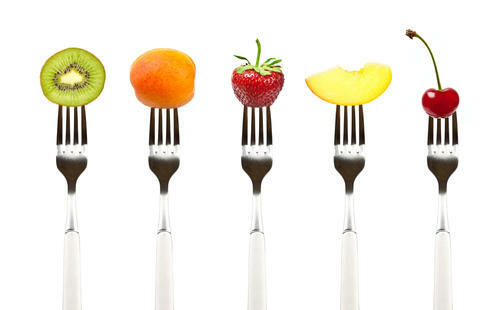 “Healthy” should be the automatic default; junk food should be the rare, parentally chosen exception. Healthy Vending Services for Essex, Bergen, and Passaic county New Jersey. 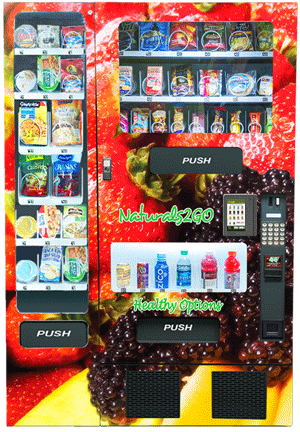 Healthy Vending provided by Nutrition2Go and Healthy Vending Machines from Naturals2Go, Healthy Vending Services and Healthy Vending Products is the best choice for your office or school.